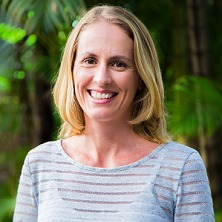 Cassandra Dittman is a Research Fellow and Head of Curriculum Development at the Parenting and Family Support Centre (PFSC). Cassandra's research focuses on the prevention and treatment of behavioural problems in children and adolescents. She is particulary interested in the impact of quality parenting on important developmental outcomes for children and adolescents and the way that evidence-based parenting programs (including Triple P-the Positive Parenting Program) can improve outcomes for families and children. Cassandra also investigates the parenting experiences of special groups of parents (e.g., parents working as FIFO or DIDO workers, parents of teenagers), and how this information can be used to design consumer-responsive interventions for such parents. New areas of pursuit are ways that we can train and support other important caregivers (e.g. early childhood educators) in children's lives to promote children’s prosocial behaviour and learning skills and reduce child behaviour problems, which has resulted in the co-authoring of a new blended modality program for early childhood educators, the Positive Early Childhood Education prgram. An additional new focus is the influence of strong parent-adolescent relationships in the positive development and mental health of young people. This latter research area includes the development of adolescent-specific measures of adolescent functioning, parenting, and the parent-adolescent relationship. In addition to her research activities, Cassandra is Head of Curriculum Development at the PFSC. In this role, she is responsible for developing and revising all of the training courses and materials used to train practitioners in Triple P from around the world. Cassandra is also a registered psychologist with AHPRA. Dittman, Cassandra (2018). Long-distance parenting: the impact of parental separation and absence due to work commitments on families. In Matthew R. Sanders and Alina Morawska (Ed. ), Handbook of parenting and child development across the lifespan (pp. 1-1) Sydney, Australia: Springer International Publishing. What is the impact of defence life on children and families? A cross-sectional comparison of child wellbeing and family experiences of defence and civilian families. Ralph, Alan and Dittman, Cassandra (2018). Training a workforce to implement evidence-based parenting programs. In Matthew R. Sanders and Trevor G. Mazzucchelli (Ed. ), The power of positive parenting: transforming the lives of children, parents, and communities using the Triple P system (pp. 371-382) Sydney, Australia: Oxford University Press. Dittman, Cassandra (2018). Working FIFO with a family: the impact on children, parenting and family relationships. In Grant Michelson and Graeme Ditchburn (Ed. ), Fly-in, Fly-out (FIFO) employment: issues and challenges (pp. 1-1) Sydney, Australia: Federation Publishers. Does adding an emotion component enhance the Triple P-Positive Parenting Program? Chand, Nalini, Farruggia, Susan, Dittman, Cassandra, Wai, Joanna Ting and Sanders, Matthew (2013) Promoting positive youth development through a brief parenting intervention program. Youth Studies Australia, 32 1: 29-36. Dittman, C.K., Sibley, C.G. and Farruggia, S.P. (2013) Attitudes toward smacking in a New Zealand probability sample: Psychological and demographic correlates. New Zealand Journal of Psychology, 42 2: 41-50. Dittman, C. K. and Sanders, M. R. (2009) The Triple P Positive Parenting Programme and early childhood education. The First Years Journal - Ngā Tau Tuatahi, 11 2: 18-24. Dittman, C. and Bowey, JA. (2006). Longitudinal associations between children's phonological processing abilities, ADHD-like behaviour ratings and early reading development. In: Australian Journal of Psychology. , , (72-72). .
Dittman, C. and Bowey, J. A. (2006). Longitudinal associations between children's phonological processing abilities, ADHD-like behaviour ratings and early reading develpment. In: O. Lipp and S. Price, Australian Journal of Psychology: The Abstracts of the 33rd Australasian Experimental Psychology Conference. The 33rd Australasia Experimental Psychology Conference, Bardon Conference Centre, Brisbane, (72-72). 20-23 April 2006. Bowey, J. A. and Dittman, C. (2003). Good readers use context-sensitive grapheme-phoneme correspondences. In: Australian Journal of Psychology: The Abstracts of the 30th Conference of the Australasian Experimental Psychology Society. 30th Conference of the Australasian Experimental Psychology Society, 25-27 April, 2003, (73-73). Sydney, Australia. Cassandra Dittman (2008). INVESTIGATION OF THE CONCURRENT AND PREDICTIVE CONTRIBUTION OF ADHD-LIKE BEHAVIOURS AND PHONOLOGICAL PROCESSING TO EARLY WORD READING DEVELOPMENT PhD Thesis, School of Psychology, The University of Queensland.